Kit contains one battery operated Designer dispenser, two aerosol refills (Red Clover Tea and Fruit Basket) and two D Alkaline batteries. AEROSOLS SHIPPED VIA GROUND ONLY. DOMESTIC SHIPPING ONLY! AEROSOLS SHIPPED VIA GROUND ONLY. DOMESTIC SHIPPING ONLY! 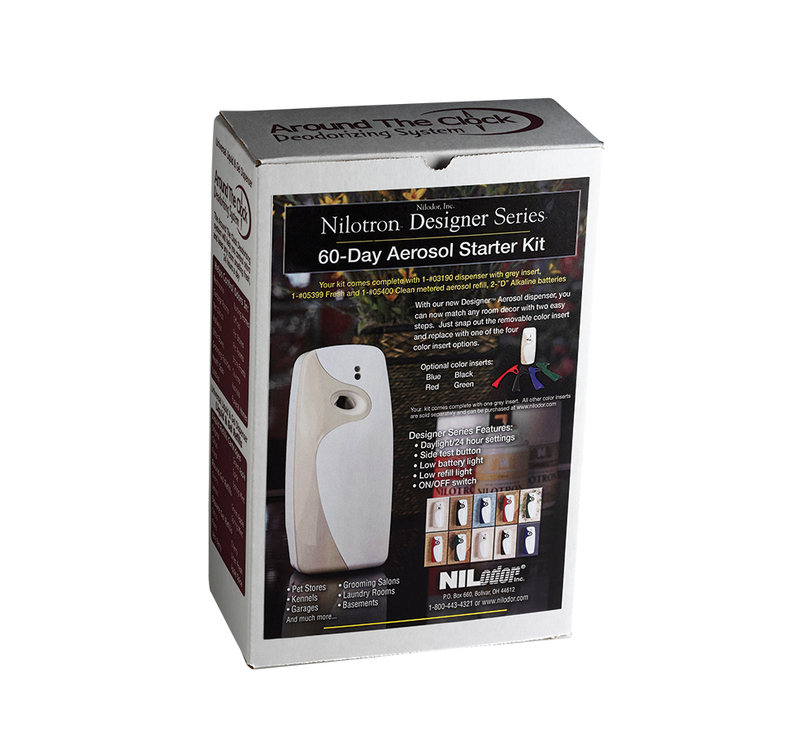 Kit contains one battery operated Designer dispenser, two 7 oz. aerosol refills (Red Clover Tea and Soft Linen) and two D Alkaline batteries. Red Clover Tea & Soft Linen are included in kit.